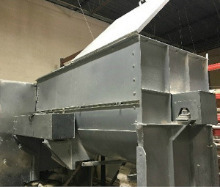 Advanced Blending utilizes both ribbon and paddle powder blenders providing our customers batch size flexibility and the capacity for large campaigns and multiple projects. Advanced Blending can manage a large production campaign or small pilot batches for customer’s pre-production run testing. Advanced Blending repackages powdered chemicals. 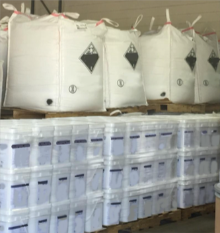 We provide the facility and labor to repackage bulk material into smaller containers or consolidate smaller containers into bulk. Advanced Blending can receive material in super sacks and repackage into smaller packaging - bags, boxes, pails or fiber or poly drums. We can also receive materials in smaller packaging - bags, boxes, or drums and repackage into larger packaging - super sacks.